I had surgery on April 12th 2016 so I had to rely on my Kare to work them at the beginning. She turned them since I was not allowed to shovel, I decided I didn't need to add dirt for the garden to work. Here is a view of the 3 after I put sets in place. 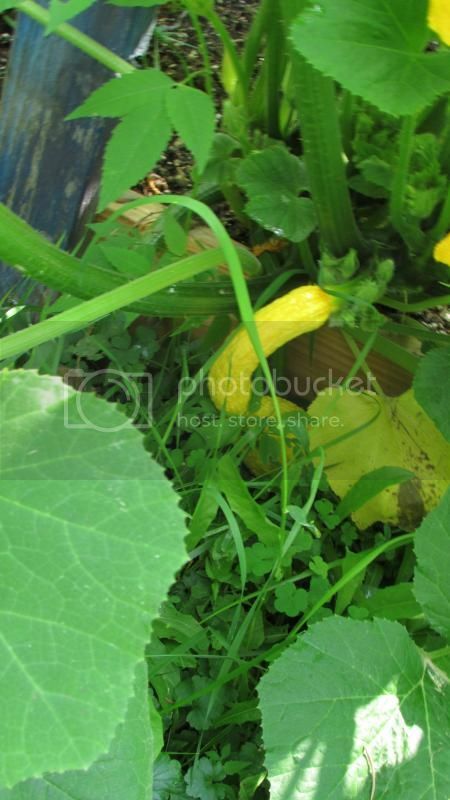 This is my 3d year with raised beds. I started 3 years ago with just one and I could not believe how well the things I planted in it did. Last edited by alleyyooper on Mon Jan 02, 2017 11:16 pm, edited 1 time in total. Re: My 2016 raised beds. You did a great job. Keep it up by adding organics every time you plant. I am not new to gardening. I have been at it for at least 65 years when My mom got all her kids working in the garden at about age 5. Yes I am 70 now so the raised beds do save a bit on the back. 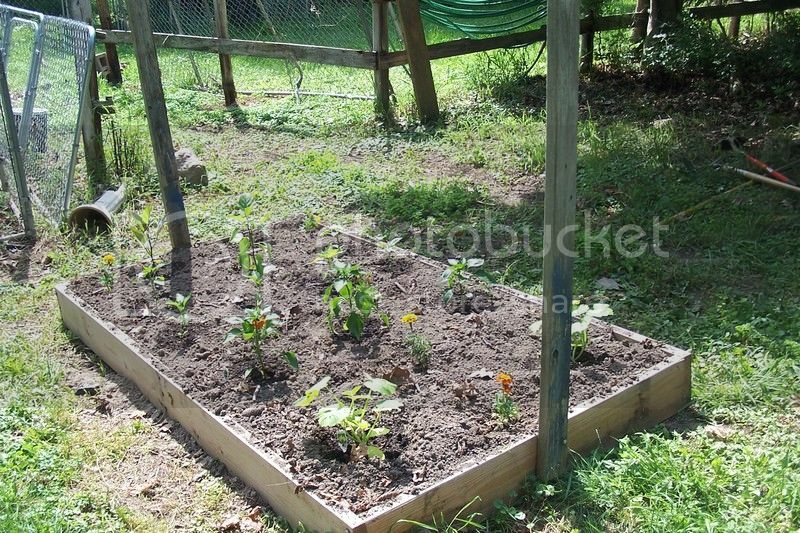 My first raised bed in 2014. 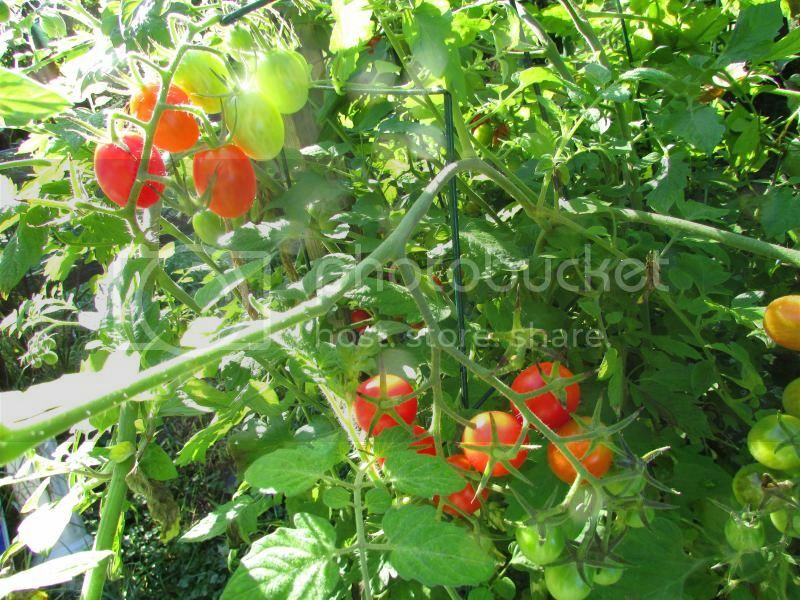 Taught me I need to learn about tomato plant pruning as they grew to over 7 feet tall in the raised beds. I also learned if I put the uprights on the ends I could put a cross piece in place and cover when there was a frost in the forecast and extend the growing easier than the old regular beds. 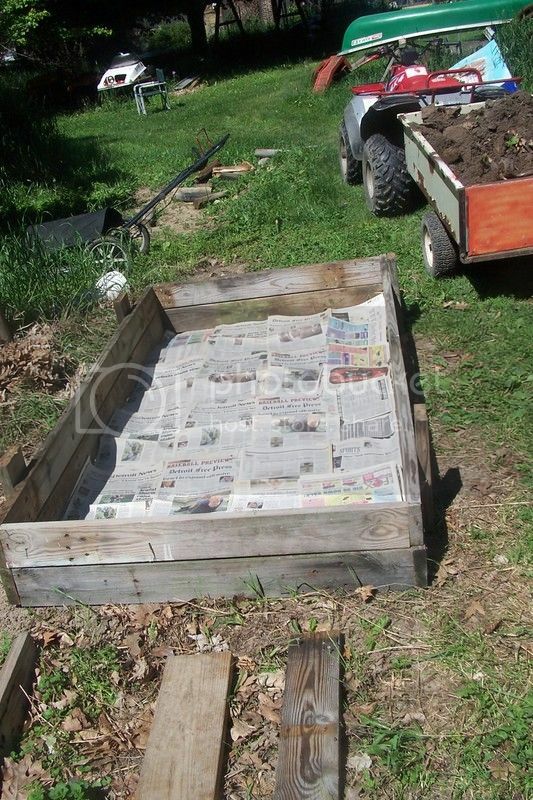 2015 I built the beds then lined the bottom with news paper to keep the grass and what ever from growing up in to the beds. All the dirt came from back in my woods. 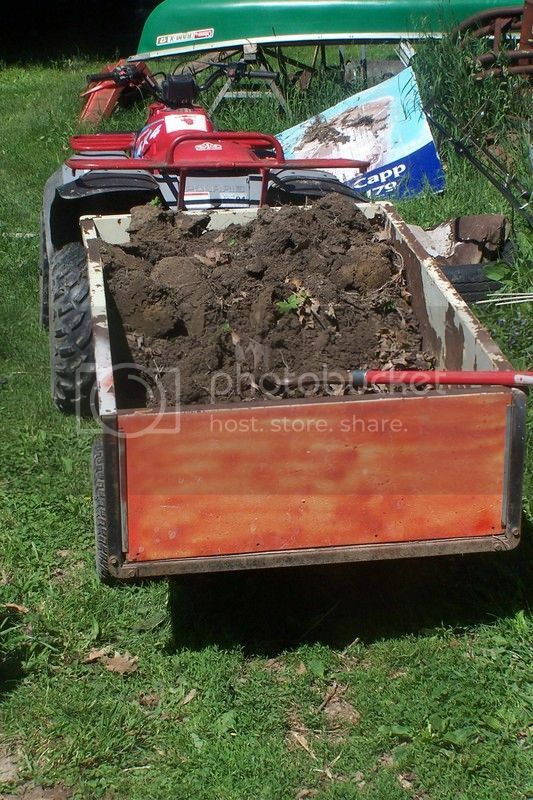 It is all top soil from years of decaying leaves and other stuff found in the woods. 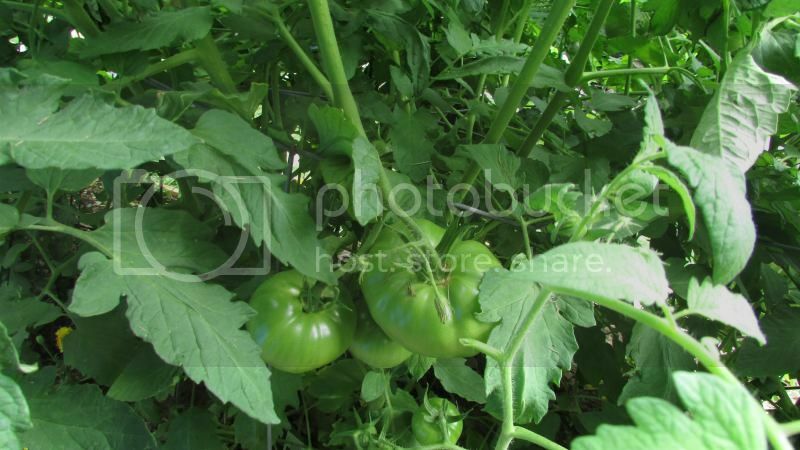 Some of my tomatoes, vines got to 7 and 8 feet tall. 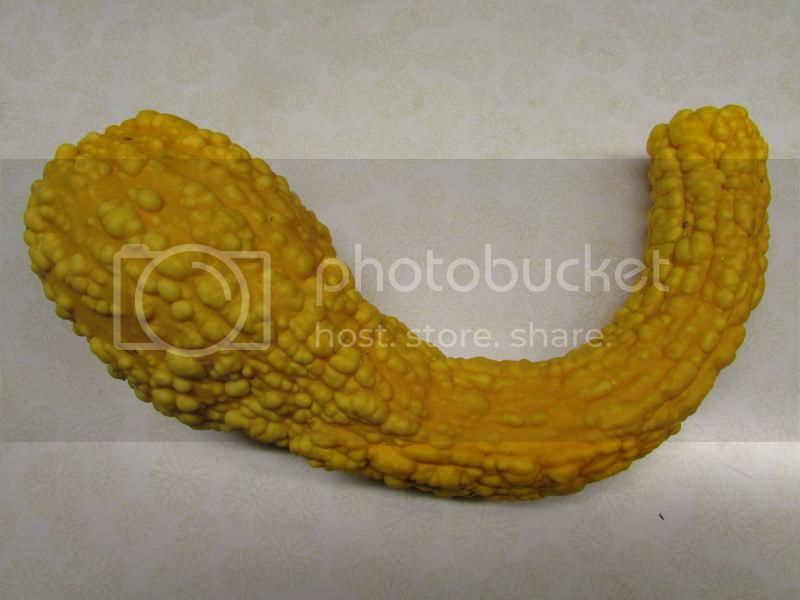 A yellow crook neck squash.